We always expect our partners to just “know” what we want from them. That’s how we know they love us, right? That is actually where most relationships go wrong, ironically. Thanks to unrealistic expectations that popular culture has created over the years, the idea of love and the perfect understanding partner is somewhat distorted in our minds. the root of most broken relationships is simply an inability to communicate through the “language of love”. The language of love isn’t a specific language per se, not a tongue we speak in with our friends, family or colleagues. It is instead, an expression of love and intimacy and how we communicate those feelings with the people we love. It is a pity however that we have a tendency to take people’s emotions for granted, which creates a barrier in communication and give and take of intimate true love. We might “expect” our partner to know what we like, and “expect” them to pleasantly surprise us by bringing us a gift or a token of their love, let’s say flowers or chocolates, but that is a lot of expectations we’re having in our mind. Failure of fulfillment of such expectations can result in resentment and misunderstandings. Being Practical Is Not Unromantic. In lots of cases, partners don’t express their likes and dislikes freely in fear of sounding demanding, but at the same time, expect their partners to decipher subtle hints that they throw out from time to time. That is a very vague move and prone to be overlooked. We have to be open about what we expect of our partners, and be specific about what we appreciate. And no, that does not make the gesture any less romantic, instead there is a chance they are able to reach out to you more when they know what you really will like, instead of lingering on in an abyss of uncertainty. They Do Care; They Just Have a Different Way of Showing It. As we mentioned earlier, the language of love isn’t a specific language; different people express it in different ways. Some people show their love by giving gifts, some people like to prove their love through their actions, some through words- be it offering compliments or proclaiming their love or just pouring their hearts out to the people they care about, some people prefer their physical intimacy to speak for them and some prefer to show their love by spending time with them and integrating them in their lives. The glitch is, two people in a relationship may not speak the same language to express their love. That is where the trouble arises. One of them may give the other personalized gifts, or say that they love them, but if there is no reciprocity in a similar language, the relationship sours. The other person might be trying to express themselves by doing nice things for you, or be physically intimate but if that is not your language of love, there is a miss. There are only rare exceptions to a dictum that suggests that if you are told there is only ONE WAY or an “always” or “never”, it’s likely a logical fallacy, or a misprint, or a lie. 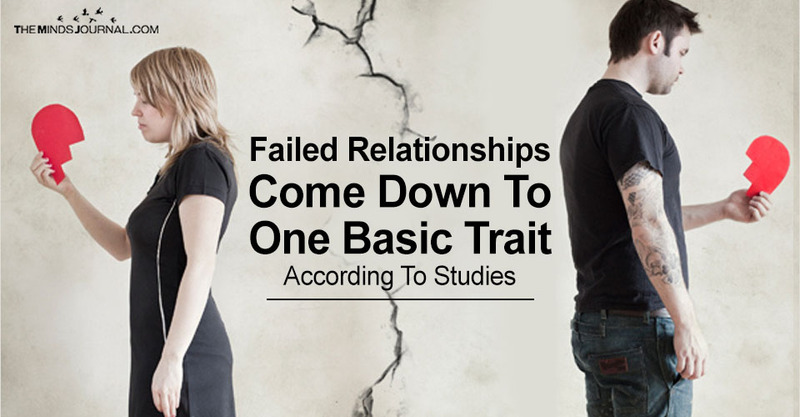 Read this again: Psychologists have been trying to de-mystify the reasons behind failed relationships for ages, or so it seems but are no closer to finding an answer. But in a rather interesting article by psychologist Katherine Schafler published in the Business Insider, she conjectures that the root of most broken relationships is simply an inability to communicate through the “language of love”. HOW MANY FALLACIES can you see in this one set of “studies”?